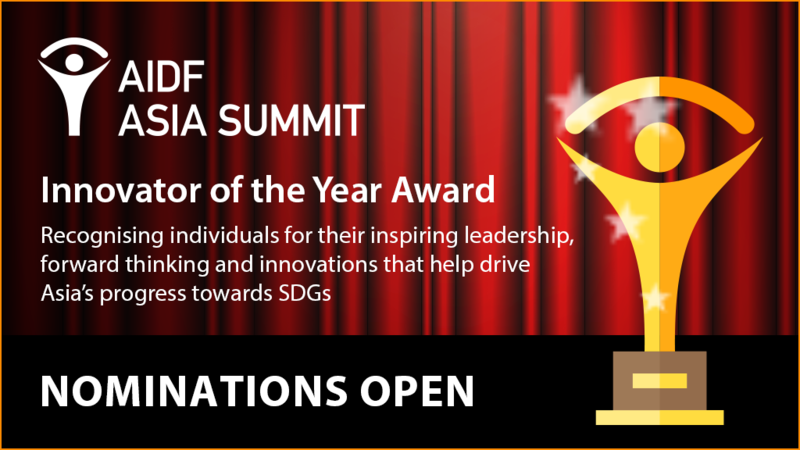 The AIDF Asia Summit is currently accepting nominations for the Innovator of the Year Award. This competition celebrates individuals as well as teams who have introduced game-changing initiatives, created research or inventions that have made an impact on the humanitarian aid and development sectors in Asia over the past year. The aim is to recognise individuals for their inspiring leadership, forward-thinking, creative problem-solving and implementation of innovative programmes that have helped drive Asia’s progress towards Sustainable Development Goals. The finalists will be able to present a short overview of their innovation at the AIDF Asia Summit before the winner is announced.